On July 26, 2018, Gerardo Delgado Barrio passed away in Madrid after a long and painful illness. Born in Santiago de Compostela on April 9, 1946, in a family of teachers with long tradition in medicine and law, Gerardo gratefully kept up the memories of some excellent teachers of high school who sowed in him an early scientific vocation. After a year at the University of Santiago, he moved to Madrid where he graduated in Physics at the Complutense University (UCM) on June 1968. He started working in the biophysics group of Carlos Dávila at the Nuclear Energy Board (JEN), meeting Marina Téllez de Cepeda there, a specialist in Medical Physics, who later became his wife. They had four daughters, Marina, Ana, Laura, and Mar, who have given them six grandchildren to date. After a short time in JEN he contacted Yves Gabriel Smeyers, one of the pioneers in Spain on Quantum Chemistry, at the Rocasolano Institute of the Higher Council for Scientific Research (CSIC), leaving JEN to do the PhD under his supervision on novel methods of calculation of electronic structure in small molecular entities. Even though their first joint paper was a semi-empirical study of nucleic acid bases using the Ω technique , his thesis focused on the use of the so-called Half-Projected Hartree–Fock method, which includes electron correlation by considering an almost pure spin wave function . The thesis was defended at the UCM in 1973. Gerardo then began a postdoctoral stay at the Laboratory of Molecular Photophysics in Orsay (Paris-Sud), where he collaborated with Roger Prat on deformed states of atomic species improving the traditional spherical solutions , and simultaneously he interacted with Roland Lefebvre’s group, in particular with Juan Alberto Beswick and Osman Atabek, and began to collaborate with them on problems of nuclear dynamics (collisions, photo-fragmentation, etc.) proposing and using different methodologies in both the energy domain as well as in the time domain. Alberto soon became a close friend with whom he maintained a nearly constant scientific collaboration over the years. Their first joint work was on the quenching of an electronically excited oxygen atom by collinear collisions with nitrogen molecules , that served as a starting point to tacklethree-dimensional collisional quenching of excited alkaline atoms by diatomic molecules a few years later . In one of his visits to Orsay, and in teamwork with Alberto and Joshua Jortner, one of the first numerical simulations on the vibrational predissociation (VP) of the van der Waals (vdW) molecule HeI2(B) was published only one year after the pioneering experiment of Don Levy at the University of Chicago, attaining an outstanding agreement . Soon later Alberto and Gerardo applied a clever rotational decoupling scheme  to deal with VP of this type of complexes that was the origin of several papers and different PhD thesis supervised by Gerardo. The very fruitful collaboration was maintained and deepened in the study on VP of triatomic weakly bound complexes, e g. full three-dimensional close-coupling benchmark calculations , opening the gate to further applications to other complexes as HeBr2,or the first version of the Golden Rule approach in the time domain by using wave packets propagation . These studies were seminal to later address molecular clusters of increasing size and complexity. In 1975 Gerardo returned to Madrid and, after a one-year postdoc at Rocasolano Institute of CSIC, he was hired as Associate Professor in the Department of Quantum Chemistry at the Universidad Autónoma de Madrid (UAM, 1976-79). Then he got permanent positions as Scientific Collaborator (CSIC, 1979-82), Associate Professor (UCM, 1982-83), again a Scientific Collaborator (CSIC, 1983-86), Scientific Researcher (IEM-CSIC, 1986-87), Full Professor (CSIC, 1988-2016), and finally Doctor Ad Honorem (CSIC, 2016-18). Gerardo managed to direct or co-supervise up to fifteen Theses along his career, and created a Department of Atomic, Molecular and Aggregates Physics first in the Institute of Matter Structure (IEM-CSIC), after in the Institute of Mathematics and Fundamental Physics (IMAFF-CSIC), and then at the Institute of Fundamental Physics (IFF-CSIC), institutes of which he was Director (IMAFF, 2006-2009, IFF, 2009-2016). As mentioned above, in 1979 he got a permanent position in CSIC, initiating the formation of a research group of physicists and chemists to study the dynamics of nuclei involved in atomic and molecular collisions and photodissociation processes. Based on classical trajectories, he proposed in 1983 a successful quasi-classical model to study the VP of HeI2(B) , later extended to larger clusters [12, 13]. Among his many collaborations, the one that Gerardo started in 1983 with Steve Berry’s group at the University of Chicago, as a result of a Fullbright scholarship and later through projects funded by the Joint Spanish-American Committee for Scientific Cooperation, can be considered essential. They proposed and applied various quantum approximations and different coordinates for the simulation of the ro-vibrational spectrum of the water molecule [14,15] that were later extended to tetra-atomic species . Another of the most notable collaborations maintained until the last days was the one that began in 1984 with the group of Franco Gianturco at the University of Rome “La Sapienza”. The first works focused on rotational predissociation processes of van der Waals complexes , continued dealing with ionic clusters , and followed by the study of Efimov states in extremely weakly bound trimers [19, 20]. however, ab initio methods have advanced in such a way that they are currently used to deal with weakly bound complexes. In fact, through high-level electronic structure calculations, the corresponding PES for the ground and excited electronic states have been available, and several vdW systems have been revisited [21-23]. With Julius Jellinek (Argonne Nat. Lab. ), the Rome group, and researchers of the Université Marne-la-Vallée (Paris-Est), a line of research on doped helium clusters has been developed by Gerardo and his group in the recent years using nuclear quantum chemistry-like methodologies [24-27]. The goal was the simulation of spectra of molecules immersed in helium nano-drops of bosonic or fermionic character explaining the effect of superfluidity of the environment. Monte Carlo methods were then used in doped helium aggregates adapted to the case of attached dopants, explicitly incorporating temperature via Feynman path integrals [28-30], and also the Path Integral Molecular Dynamics approach was tuned to study the formation of rubidium dimers along the surface of helium droplets, his last published paper . Among his recent works it can also be found the structures, energetics, and spectroscopy of hydrogen cations HN+ of astrophysical interest [32-34], the study of the properties of pure liquid water  and clathrates there , and the energetic, structural, dielectric, and nuclear magnetic shielding properties of linear formamide clusters as an example of species of biological interest . In some way, this research line would close a circle initiated by Gerardo with the study of nucleic acids . In addition to his scientific contributions (more than 250 publications, edition of several books, organization of multiple congresses and national and international schools) Gerardo has played a fundamental role in the scientific community both in Spain and abroad. He was a member of the American Physical Society (APS), of the European Physical Society (EPS), of the Cuban Society of Physics, of the Institute of Physics, of the Scientific Advisory Board of the European Physics Journal, President of the Spanish Section of the International Union of Pure and Applied Physics (2005-2011), member of the Group of Physics for the Development of the EPS and first president and founder of the Latin American Federation of Physics Societies (FeLaSoFi) in 2005. He was always passionate about the topics related to Latin America, and its outstanding contribution to Ibero-American science, was recognized as Doctor Honoris Causa by the University of Havana. He worked tirelessly to establish stronger links between the RSEF and the EPS. Thanks to him, the RSEF became an important partner of the EPS after a period of low Spanish profile. He was a member of the EPS Executive Committee from 2001 to 2006. Through FeLaSoFi, he opened communication channels with Latin America and started new activities in Physics for Development. Gerardo was a founding member of the EPS Forum Physics and Society to promote the dialogue between Physics and Society. Gerardo was elected EPS Fellow in 2007 and received the Gero Thomas Medal in 2015 for outstanding contributions to EPS; in particular, for its commitment to international scientific cooperation, outreach and education and Physics for development. In the CSIC, together with the institutes’ addresses mentioned above and among many other commitments, he was a member of the Governing Board of the CSIC (2001-2004) and member of the CSIC’s Ethics Committee since 2011, occupying his vice-presidency from 2012 until his death. Regarding the RSEF, he received the “Novel de Física” prize from the RSEFyQ (1977) and the Gold Medal of the RSEF (1983), and created in 1988, being its first president, the Specialized Group of Atomic and Molecular Physics (GEFAM). Gerardo was president of the RSEF from 1997 to 2006. During his presidency, the RSEF experienced an amazing growth, in number of members, financial resources and impact on civil society. 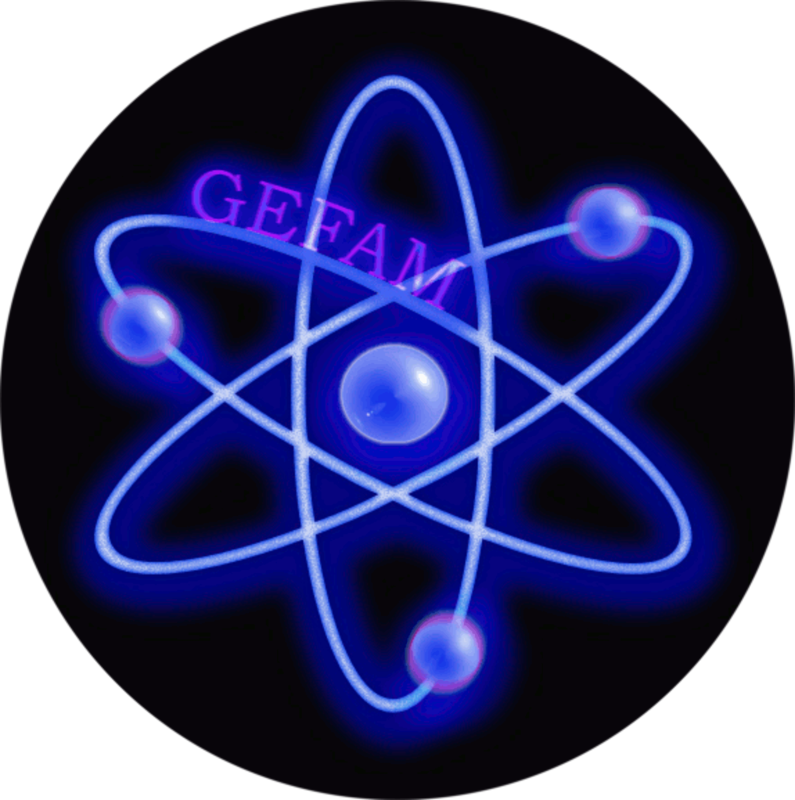 Among many other advances, we want to highlight his support for the creation of the Specialized Group of Women in Physics (GEMF), approved by the Governing Board of the RSEF in 2002. He was also responsible for the integration of the journal Anales de Física in the European Physics Journal. In 2003, the RSEF celebrated its centenary and Gerardo was the president of the Organizing Committee. In 2005, the World Year of Physics took place, coinciding with the centenary of Albert Einstein’s ‘annus mirabilis’, with Gerardo presiding over its Organizing Committee for Spain. Both events were important milestones for the RSEF and required a great commitment in public relations, agreements with financing agencies and in the explanation of the important role of Physics in our society. Gerardo was also a close associate of the BBVA Foundation, participating as a member of the jury in the first three editions (2008-10) of the Frontiers of Knowledge Awards in the category of Basic Sciences, and also in the jury of the Physics Awards RSEF-BBVA Foundation since 2008 as well as in the evaluation commissions of the Basic Sciences area of ​​the Leonardo Scholarships. He was also an assiduous collaborator with the Areces Foundation, acting during the last ten years as a jury in the selection of its postgraduate scholarships in Physics and Mathematics and carrying out the follow-up and evaluation of the work done by the scholarship recipients abroad. Beyond the responsibilities in the world of Physics, which without being exhaustive we have tried to review, we want to emphasize that Gerardo was a magnificent physicist, both in teaching and research. His concerns were, however, much broader: from Religion and Philosophy to Economics and Politics, through History, Music, Theater and Sport. The conversations with him, whatever the subject, were always a pleasant and inexhaustible source of knowledge. He was a true erudite. His death means without a doubt a great loss for his family, but also for Physics, particularly in Spain, Europe and Latin America. Those of us who had the privilege and honor of working closely with him were able to estimate and admire his great value, his leadership and work capacity, bytransmitting his contagious enthusiasm and vigor, and by depositing ever and ever in us his whole confidence. Besides being a great teacher and priceless fellow, his friendship will always remain in our memory and our hearts. Rest in peace. y Química 68 (1971) 25. Y .G. Smeyers, G. Delgado-Barrio, Int. J. Quantum Chem. 8 (1974) 733. G. Delgado-Barrio, R. F. Prat, Phys. Rev. A 12 (1975) 228. G. Delgado-Barrio, J. A. Beswick, Chem. Phys. Lett. 48 (1977) 358. Chem. Phys. 91 (1989) 155. J. A. Beswick, G. Delgado-Barrio, J. Jortner, J. Chem. Phys. 70 (1979) 3895. J. A. Beswick, G. Delgado-Barrio, J. Chem. Phys. 73 (1980) 3653. Chem. Phys. 92 (1990) 3348. A. Rohrbacher, T. Ruchti, K. C. Janda, A. A. Buchachenko, M. I. Hernández, T.
González-Lezana, P. Villarreal, G. Delgado-Barrio, J. Chem. Phys. 110 (1999) 256. D. Coalson, J. Chem. Phys. 94 (1991) 4230. G. Delgado-Barrio, P. Villarreal, P. Mareca, G. Albelda, J. Chem. Phys. 78 (1983) 280. A. García-Vela, P. Villarreal, G. Delgado-Barrio, J. Chem. Phys. 92 (1990) 6504. Chem. Phys. 104 (1996) 8405. G. A. Natanson, G. S. Ezra, G. Delgado-Barrio, R. S. Berry, J. Chem. Phys. 81 (1984) 3400. Chem. Phys. 94 (1991) 5917. P. Villarreal, O. Roncero, G. Delgado-Barrio, J. Chem. Phys. 101 (1994) 2217. F. A. Gianturco, A. Palma, P. Villarreal, G. Delgado-Barrio, Chem. Phys. Lett. 111 (1984) 399. M. P. de Lara-Castells, P. Villarreal, G. Delgado-Barrio, S. Miret-Artés, E. Buonomo, F. A.
Gianturco, Chem. Phys. Lett. 242 (1995) 336. T. G. Lezana, J. Rubayo-Soneria, S. Miret-Artés, F.A. Gianturco, G. Delgado-Barrio, P.
Villarreal, Phys. Rev. Lett. 82 (1999) 1648. I. Baccarelli, F. A. Gianturco, T. González-Lezana, G. Delgado-Barrio, S. Miret-Artés, P.
Villarreal, Phys. Rep. 452 (2007) 1. Chem. Phys. 115 (2001) 10438. R. Prosmiti, C. Cunha, P. Villarreal, G. Delgado-Barrio, J. Chem. Phys. 116 (2002) 9249. Barrio, J. Phys. Chem. A 113 (2009) 5754. D. López-Durán, M. P. de Lara-Castells, G. Delgado-Barrio, P. Villarreal, C. Di Paola, F. A.
Gianturco, J. Jellinek, Phys. Rev. Lett. 93 (2004) 053401. M. P. de Lara-Castells, R. Prosmiti, G. Delgado-Barrio, D. López-Durán, P. Villarreal, F. A.
Gianturco, J. Jellinek, Phys. Rev. A 74 (2006) 053201. Chem. Phys. 131 (2009) 194101. Phys. Chem. Chem. Phys. 15 (2013) 10126. R. Pérez de Tudela, D. López-Durán, T. González-Lezana, G. Delgado-Barrio, P. Villarreal, F.
Gianturco, E. Yurtsever, J. Phys. Chem. A 115 (2011) 6892. Barrio, P. Villarreal, F. A. Gianturco, Comput. Theor. Chem. 990 (2012) 106. R. Rodríguez-Cantano, R. Pérez de Tudela, D. López-Durán, T. González-Lezana, F. A.
Gianturco, G. Delgado-Barrio, P. Villarreal, Eur. Phys. J. D 67 (2013) 119. Eur. Phys. J. D 72 (2018) 102. R. Prosmiti, P. Villarreal, G. Delgado-Barrio, J. Phys. Chem. A 107 (2003) 4768. C. Sanz-Sanz, O. Roncero, A. Valdés, R. Prosmiti, G. Delgado-Barrio, P. Villarreal, P.
Barragán, A. Aguado, Phys. Rev. A 84 (2011) 060502(R). Phys. Chem. A 115 (2011) 2483. J. S. Medina, R. Prosmiti, P. Villarreal, G. Delgado-Barrio, G. Winter, B. González, J. V.
Alemán, C. Collado, Chem. Phys. 388 (2011) 9. Delgado-Barrio, Phys. Chem. Chem. Phys. 17 (2015) 8792. M. Sánchez, R. Prosmiti, G. Delgado-Barrio, J. Mol. Model. 20 (2014) 2320. Entrada anteriorConcedido el “PREMIO DEL GEFAM AL MEJOR ARTÍCULO DE UN INVESTIGADOR JOVEN EN QUÍMICA/FÍSICA ATÓMICA Y MOLECULAR” 2018. Entrada siguienteConcedido el “PREMIO DEL GEFAM A LA MEJOR TESIS DOCTORAL EN QUÍMICA/FÍSICA ATÓMICA Y MOLECULAR” 2018.